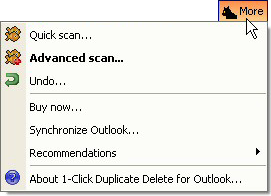 The "Advanced Scan" is optional. Use it if you want to configure the detection and removal of duplicates. Furthermore this mode presents all found duplicates to you and asks for confirmation.